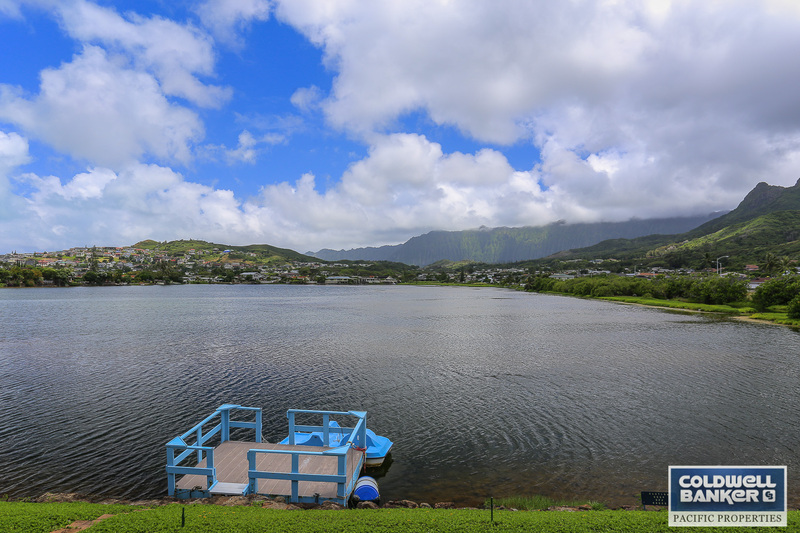 Rarely does a lakefront town home come available in Kailua’s Kukilakila complex. Even more rare is this four-bedroom unit with expanded living area, its own boat dock and photovoltaic system among the many upgrades. It won’t disappoint. The view is this home’s biggest selling point, and one of its most unique features is the innovative NanaWall system of sliding glass panels that opens completely and folds against the wall for indoor-outdoor living. 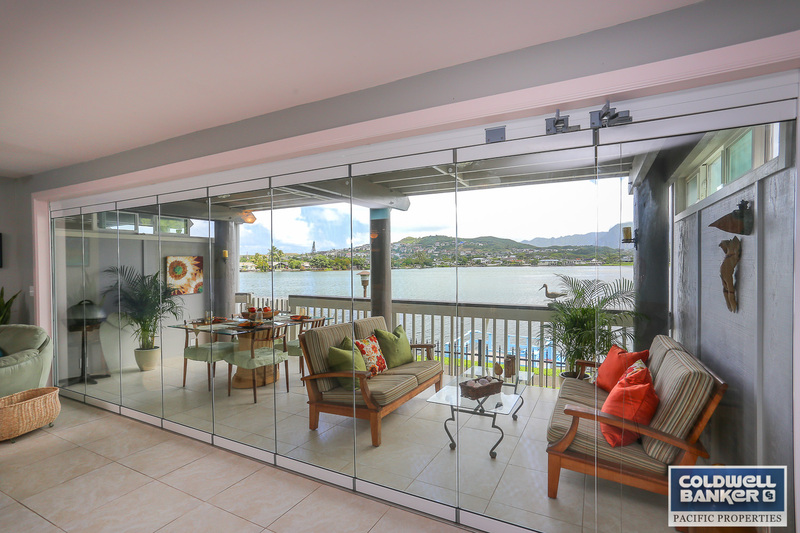 Even when closed, the panes create a virtually seamless window on the lake. Being part of a PUD, Kukilakila allows for more flexibility with structural improvements. This unit has been thoughtfully expanded to maximize the usefulness of the space. 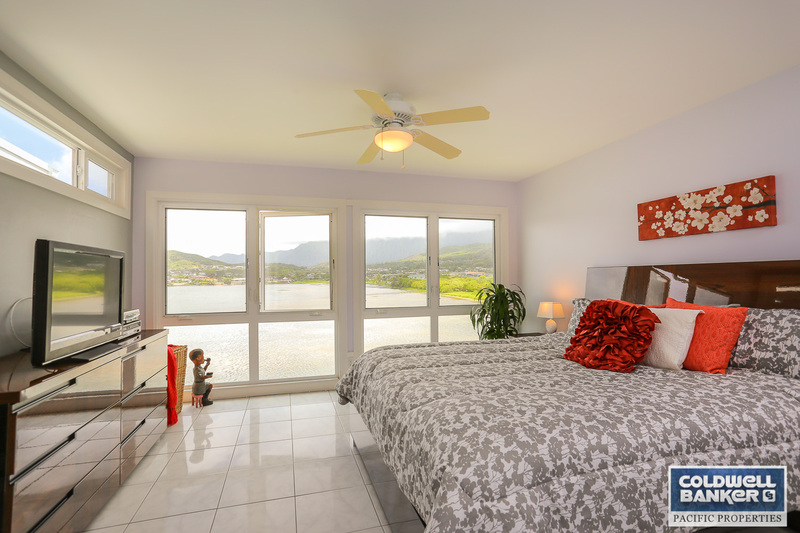 Upstairs lanais have been enclosed to add 341 square feet to the bedrooms, making the interior square footage 1,966, larger than many single-family homes. 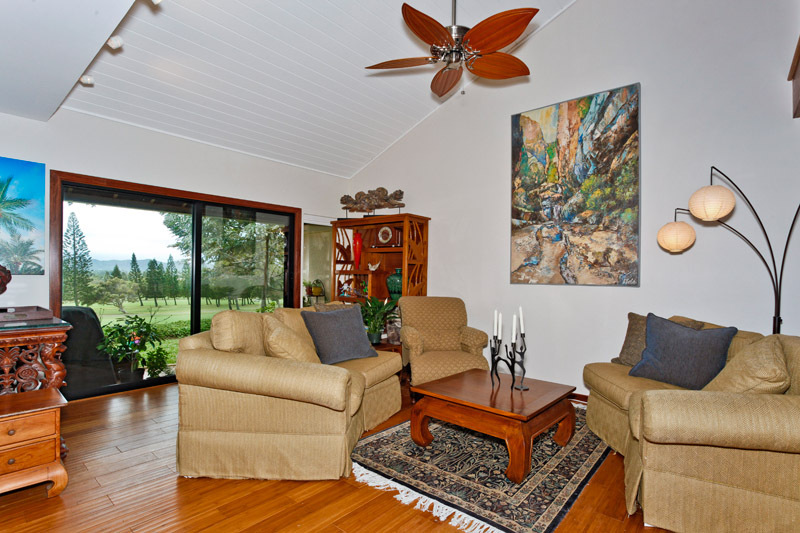 Downstairs, there is a large, covered lanai for you to take in the views, and even a small outdoor grassy area, fenced for pets. This owner thought of everything, even a doggie door to the living room. Ample custom cabinets line the walls of the enlarged kitchen, which also has granite counters, stainless steel appliances and even a gas stove, fuled by a propane tank. A photovoltaic system – owned, not leased – and solar hot water heater keep bills low. Kukilakila is a well-kept complex with beautifully manicured grassy area s, walking paths along the lake and picturesque scenery. 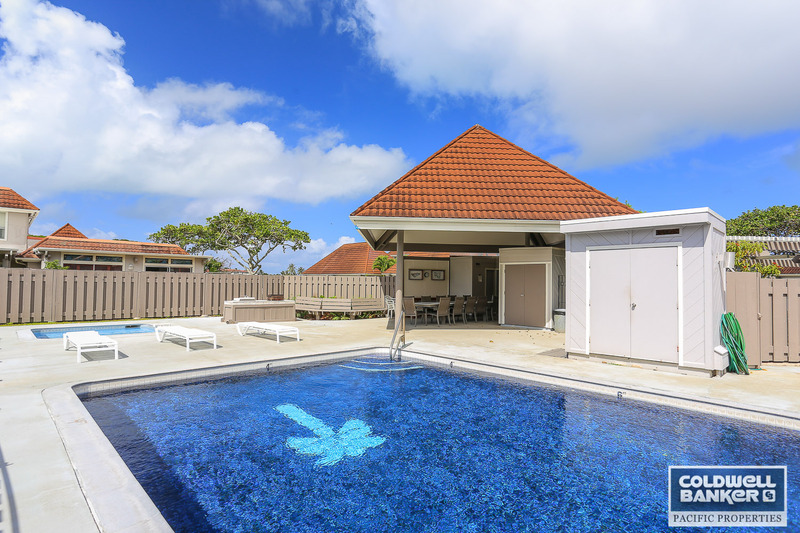 A clubhouse offers a salt-water swimming pool, kiddie pool, grill, kitchen, banquet table and bathrooms. Maintenance fees for the unit are $788 a month. Kukilakila is zoned for the highly rated Kaelepulu School District. 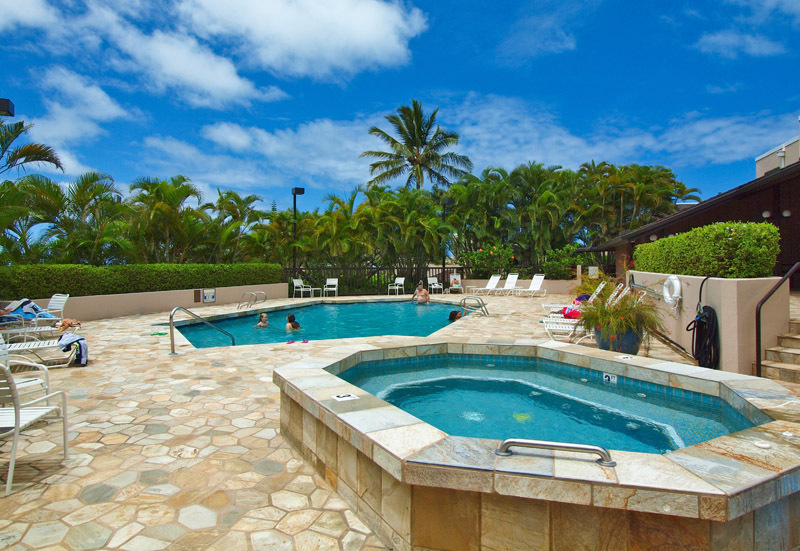 The pet-friendly complex is just a short drive from Kailua town and the beach. 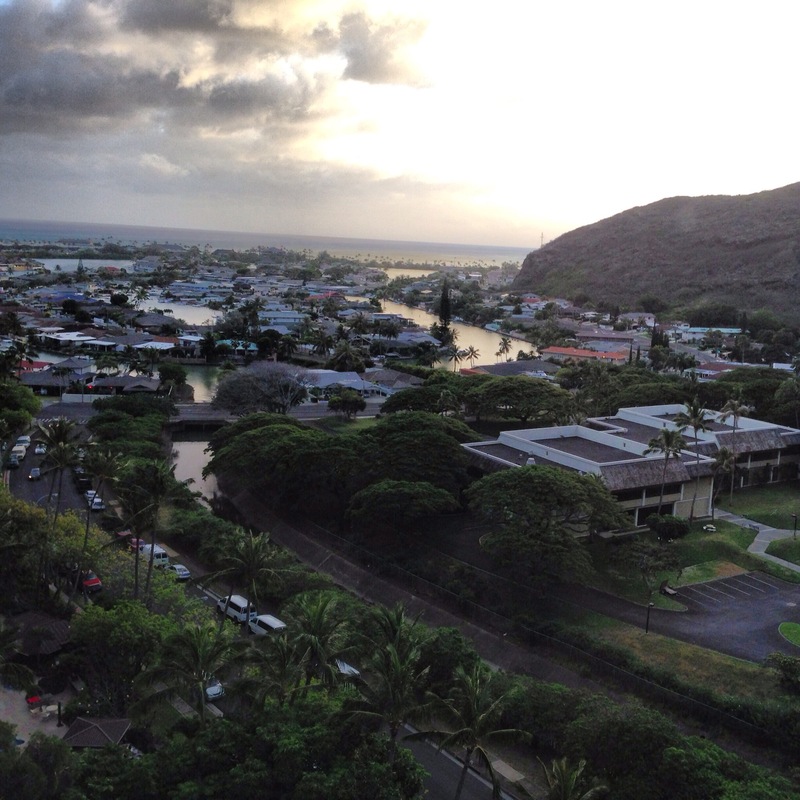 Hoping to land a deal on property at foreclosure auction in Hawaii? While some savvy buyers find luck in this arena, it’s not something buyers should count on when shopping for a home. Just 0.5% of homes sold in Hawaii in February 2014 were sold at foreclosure auctions, according to Realty Trac. 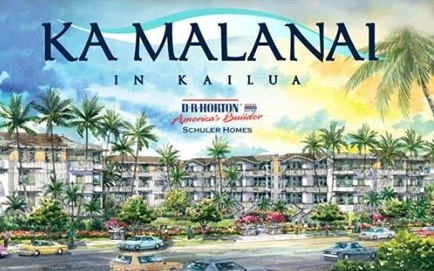 The second lottery for the Ka Malanai condos in Kailua will be held March 29, with applications being accepted from 10 a.m. on Sunday, March 16, through noon on Friday, March 28. This second phase will involve the sale of 20 units in Building 3 of the D.R. Horton project along Kailua Road. Please visit the Ka Malanai website for more information. I would be delighted to help you navigate this process. Contact Diane Pizarro at (808) 343-0659 or dianep@cbpacific.com. The owner-occupant lottery for Ka Malanai, the new condos being built on Kailua Road in Kailua, will be held on Jan. 25, D. R. Horton announced Jan. 12 in a public announcement in the Honolulu Star-Advertiser (page A-10). Lottery applications will be accepted beginning Sunday, Jan. 12, at 10 a.m. at the Ka Malanai Sales Center, 407 Uluniu St. #105, Kailua. Applications can be turned in through noon on Jan. 24. The lottery drawing will take place on Jan. 25 at 10 a.m. The first lottery will consist of the sale of 28 units of the 153-unit project. Entrance into the lottery calls for a signed owner-occupant affidavit. I would be delighted to help you navigate this process as your buyer’s agent. Please call me at (808) 343-0659 or email me at dianep@cbpacific.com. When I met Dorothy at an open house last fall, she was quite happy with the 1-bedroom condo she had owned for 10 years, but admitted to wanting something more – a second bedroom to which her active-duty, war hero son could return home. The process of selling her condo and simultaneously searching for another seemed daunting. Furthermore, she liked her building very much and would only sell if she found the right place to buy. We stayed in touch and when a 2-bedroom unit in her building came on the market at a great price on a much higher floor, she agreed to look. Right away, she loved it. In January, Dorothy set out on what she thought was a most improbable journey. She made an offer on the 2-bedroom condo, which was accepted, and the clock started ticking. The sellers of the unit she was purchasing weren’t keen on a contingency offer, so they notified us that they would continue to market the property aggressively. We had 60 days get her not-yet-listed condo into escrow. 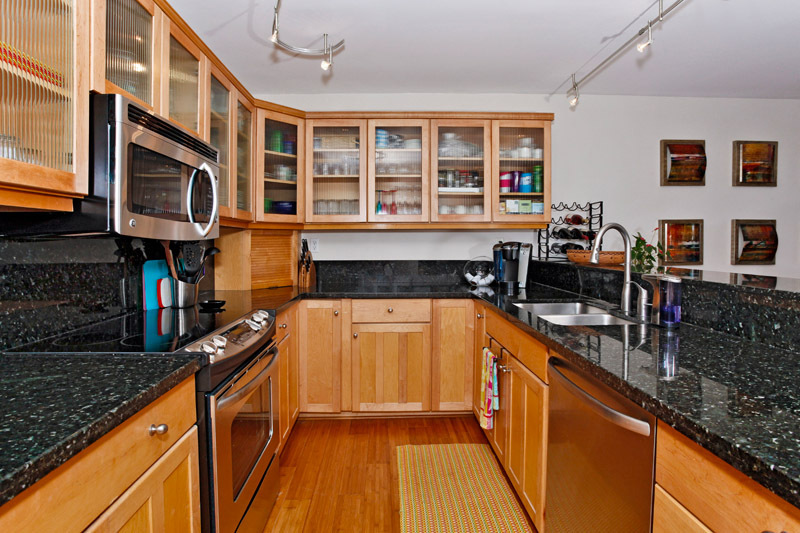 We rushed to ready her showplace unit to market, listing it less than a week later. Within three weeks, we had multiple offers and a cash buyer making it possible for Dorothy to realize her dream. Dorothy is now moving on up, yet her payments are going down! Low interest rates and good timing allowed her to buy a larger, 2-bedroom unit on a higher floor, with higher HOA fees and her payments still went down by more than $300 a month, net. My colleague, Ruth Sinclair, and I couldn’t be happier for our client. Congratulations, Dorothy! 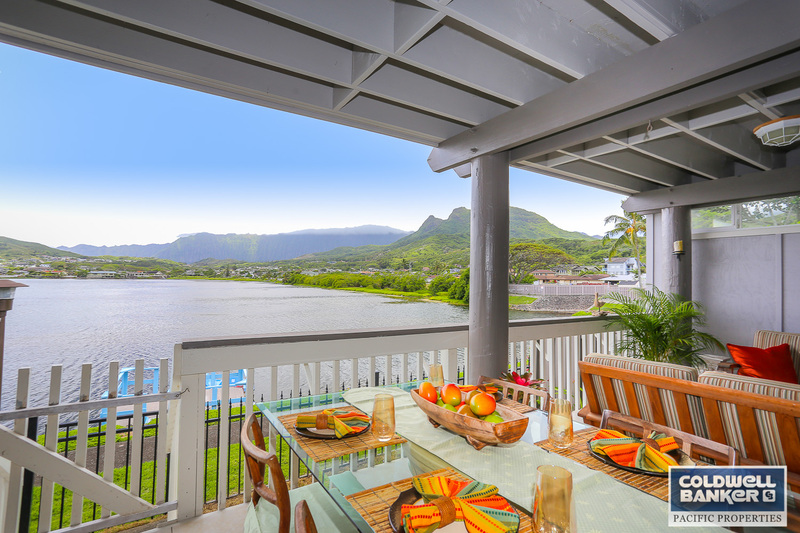 Don’t miss the first open house Sunday at my new Bluestone listing in Lanikai. 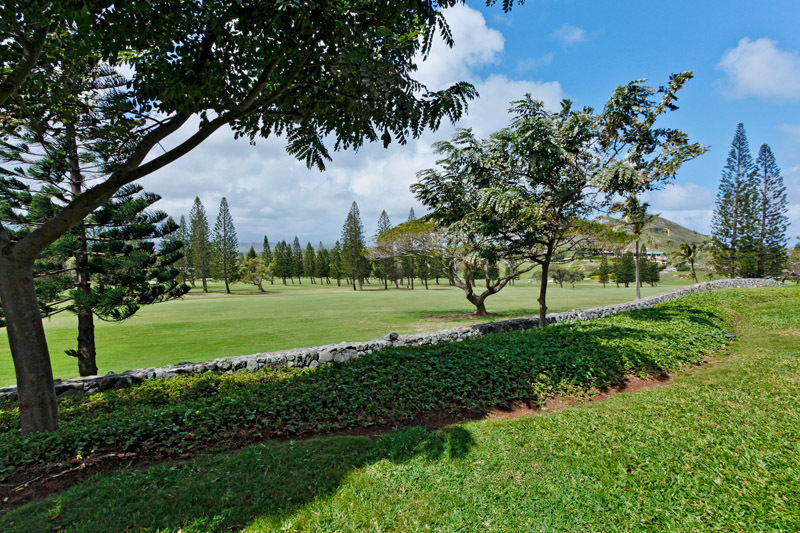 This highly upgraded 3-bedroom, 3-bath unit on the 18th fairway of Mid Pacific Golf course will go fast! Since my client purchased this unit a little more than two years ago, almost everything has been replaced. Though the upgrades are too numerous to list, the highlights include solid bamboo flooring throughout, marble bathrooms, all new doors and windows, all new lighting, new paint, new stainless steel appliances and much, much more. 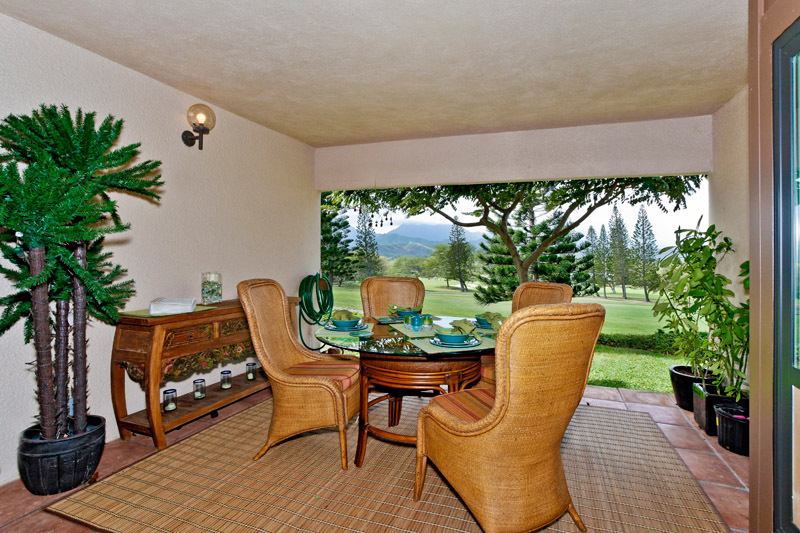 Come home to tranquil mountain and golf course views and gentle trade wind breezes as you relax on your open lanai. Breathtaking! Please click here to view the property and click on the photo to see more photos. 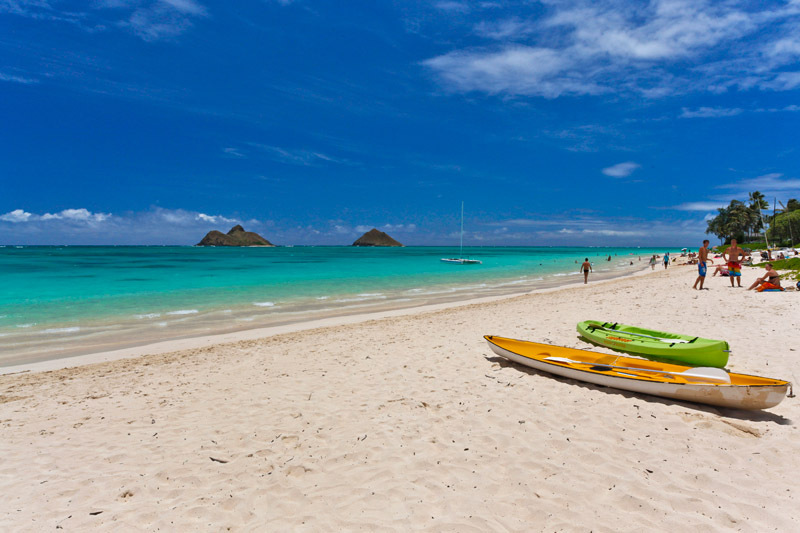 Open Sunday, 2-5 p.m. Access from the Lanikai side. From Aalapapa, turn right on Kaelepulu Drive to the Bluestone gate. Instructions for gate access will be posted at the gate. See you at Bluestone!